Pop ths soap into the pouch and scrub away; exfoliating your body with any soap bar of any size. 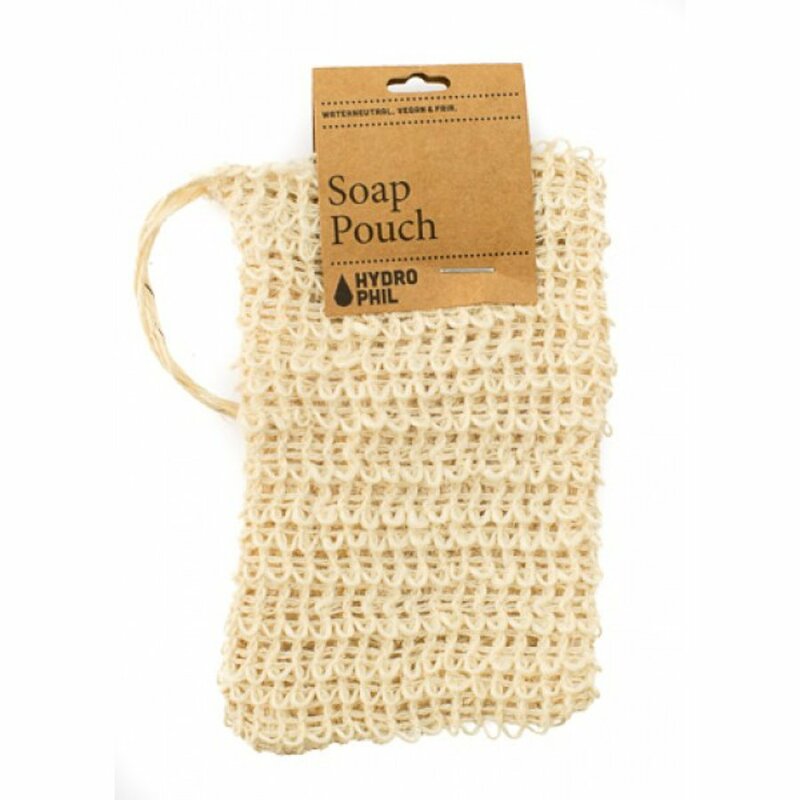 Put those annoying little stubby soap bars at the end of their life-cycle to good use with this safe and secure soap pouch from Hydrophil. They’re made out of a biodegradable sisal fibre that’s ideal for adding to home composting once it’s been worn away. Each one is produced in a fair trade environment in a water-neutral way to help combat needless water waste. Hydrophil give 10% of all profits generated to the Viva con Agua charity, which tirelessly campaigns for people’s rights to clean drinking water, no matter where in the world they are. There are currently no questions to display about Hydrophil Sisal Soap Pouch.